This is the fifth post in our series profiling some of our Super Alumni, riders who have cycled many expeditions and kilometres with us over the past years. Check out the previous posts on Lloyd Strong, Svend Paulsen, Chris Wille & Brett Lanham. Tell us a bit about your background, where you grew up and live, and what got you started into cycling. Growing up in post-war Germany was very basic: you walked everywhere, i.e. 2km to the train station and back going to high school. What a luxury it was when my Dad bought me a bicycle and it took only 10 minutes instead of ½ an hour. Came to Canada in 1965 and got my driver’s licence 5 years later. Then life took its course. What prompted you to decide to start doing long distance cycle touring? Were you apprehensive before you started? In 1992, when my CRAZY girlfriend decided to bicycle ACROSS CANADA, I sent a postcard to her at every mail-stop to encourage her!!! She is solely responsible for getting me on the bike in 1999 by giving me her old bike. Test-riding it, I did not know how to stop as backwards pedalling did not work on this highly geared machine. So I learned something new. My first tours were short in distance and time, in Canada and USA with the Pedal Pals group. Then in 2009 my friends discovered and booked Tour d’Afrique’s Orient Express. As the start in Paris was not possible for me, I opted to join the group in Vienna as I had seen enough of France and Germany in my youth. Wow, I made it to Istanbul, Turkey!!! Was I apprehensive?? You bet! But the tour support was second to none! The detailed instructions to get from point A to B, the flagging of the route, the sweep who assists stranded cyclists, the lunch truck, the accommodation choices, were all well-organized. When riding uphill was too tough for me I chose to ride in the support vehicle. NO – I am not riding Every Fantastic Inch of the way – and that is OK. I do my best!! What places/moments have been the highlights of your cycle touring career? Beyond cycling, what other amazing travel adventures have you had? 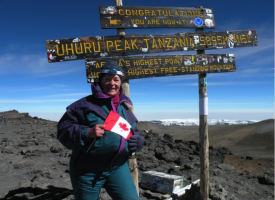 Since my only “athletic strength” seems to be in my legs in 2010, after cycling around the Finger Lakes in New York state with my Pedal Pals, in September I visited Africa and trekked to the Gorillas in Uganda followed by the successful ascent of Kilimanjaro in Tanzania. In 2011 I was ready for a repeat performance on bicycle as a few of my friends from the 2009 tour were cycling the North American Epic from San Francisco. I joined in Toronto and rode to the finish in St. John’s NL. Of course then plans were on the table for 2012 and 2 of my Pedal Pals joined me from St. Petersburg to Venice, the Amber Route, which is about half of the Trans Europa tour. In 2013 I booked the Bamboo Rd, 8,000 km from Shanghai to Singapore. Through 6 south east Asian countries full of natural and ancient wonders like Ha Long Bay and Angor Wat and totally immersed in the local cultures – an unforgettable experience. 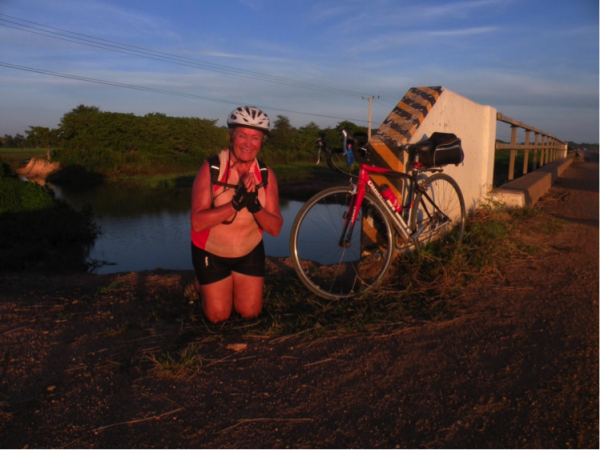 My claim to fame on this tour was that I bicycled 100 miles (actually 171 km) in one day in Cambodia at the tender age of 72. 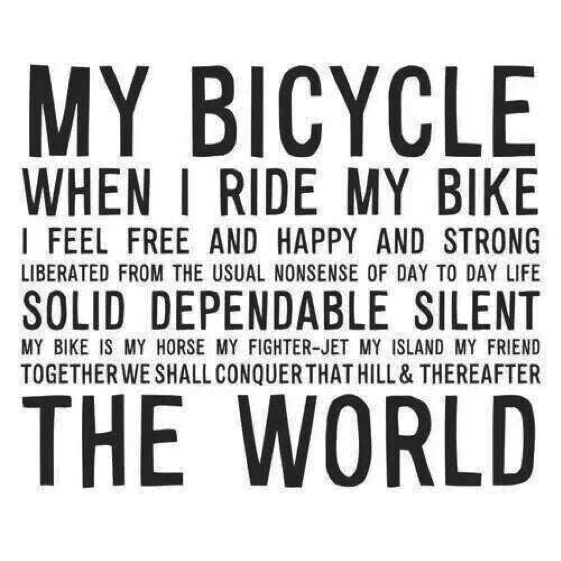 What life lessons has cycling taught you? One of the joys of these tours for me is meeting people from all walks of life. For instance a couple on their honey moon, Danya and Jan. People of all nationalities from all continents, young and old, rich, and not so rich in worldly possessions. My thought is that, when your tires are on the road, from there you can only look up at and not down on anyone!!! The camaraderie is second to none and I feel lonely when I am home alone again. I am hooked on cycling and TDA. So once again this year I will join the Trans Oceania Tour in Auckland and cycle the North and South Islands of New Zealand. How do I describe why I do this??? My dear mother used to say: If you think you can – you will!! 5 comments for "TDA Super Alumni Profile: Walli “the Adventurer” Pagniello"
Walli, you are not only amazing but you are also inspiring. I am too afraid to try what you are doing but maybe I should give it a try. Keep on rolling …. You always inspire!!!!! Walli, I wish I could be you and have all these fantastic experiences. Hope you have a lot more such rides coming. It’s unbelievable. Don’t be afraid, Petra, be willing to try one day at a time. I never imagined what I would be doing 20 years ago and here I am, looking forward to my next adventure on bicycle or overland with gadventures.com/about-us/. My biggest support is my treasure of friends and my keen interest to see the world – so far 64 countries and counting ……. Would love to keep in touch – look me up on facebook!!! Leave a comment for "TDA Super Alumni Profile: Walli “the Adventurer” Pagniello" by visiting the original post on our TDA Global Cycling blog.